Gini attended a Fellows Recognition Dinner at The Grain Exchange in Milwaukee on September 13, 2018. 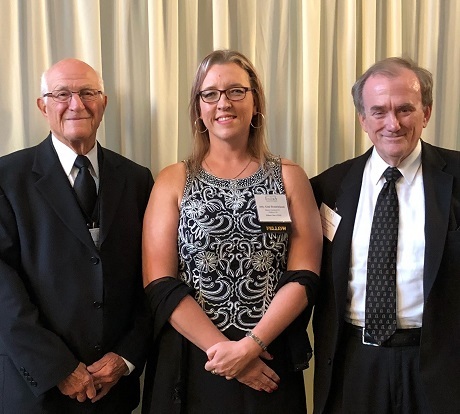 Twenty-seven new Fellows were inducted and approximately 180 people were in attendance, including Murphy Desmond peers and Fellows members, Harvey Wendel and Larry Bechler. 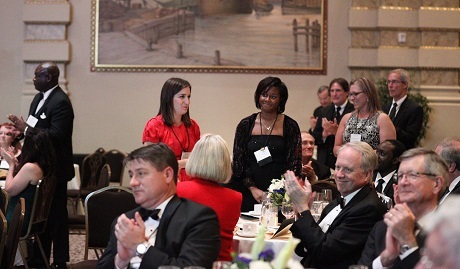 Gini Hendrickson (center) was inducted into the 2018 Class of Fellows of the Wisconsin Law Foundation. Harvey Wendel (left) and Larry Bechler attended the ceremony honoring Gini, and they are also Fellows of the Wisconsin Law Foundation. The Fellows of the Wisconsin Law Foundation 2018 Annual Recognition Dinner in Milwaukee, Wisconsin. 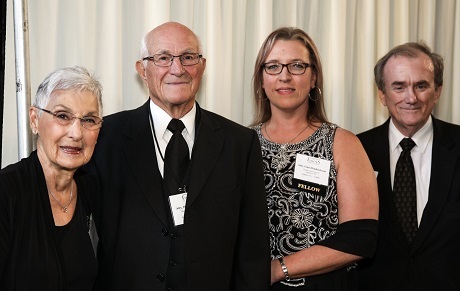 (Left to right): Bonnie Wendel, Harvey Wendel, Gini Hendrickson, Larry Bechler at the Annual Recognition Dinner.